Played some Rocket League, and then got bored from playing alone. So I started Garry's Mod Stranded. Server: 192.223.26.84:27015 if anybody wants to join if they want. 8 player limit. Use Q, C, and E keys-- that how you'll learn to play if you try it out. Hahah, I LOVE the Dino-Meat! It's so awesome! You're a beast when it comes to games, Mustang. You devour them like Bungie's mom devoured those dinosaurs! Dino-Meat! Finished the 3 uncharted games, currently awaiting to get Uncharted 4 tomorrow whenever I get off work. I did play through the biomenace episodes 1-3 again recently! WAAAAAHHHH!!!! I can't play any of my games because they're all in storage! WAAAHHHHH!!!! I have a factory of sadness. Dragon's Crown is on PS3 and PS Vita, and no it is not a repeat of an SNES title. It was originally supposed to be on the SEGA Dreamcast, but that never really panned out and ended up on the systems I mentioned instead. I haven't played anything else yet right now. What system is Dragon's Crown for? Isn't that a repeat of the old SNES title? My main game has been Fable 2. Working on some chieves for it still. Not getting anywhere. Dragon's Crown is so much fun I have Infamous on PS3 and Life is strange on the Xbox on my backlog right now. I bought the limited edition of Life is Strange on the Xbox one for $40 the other day, and I have to say, it is quite fulfilling. 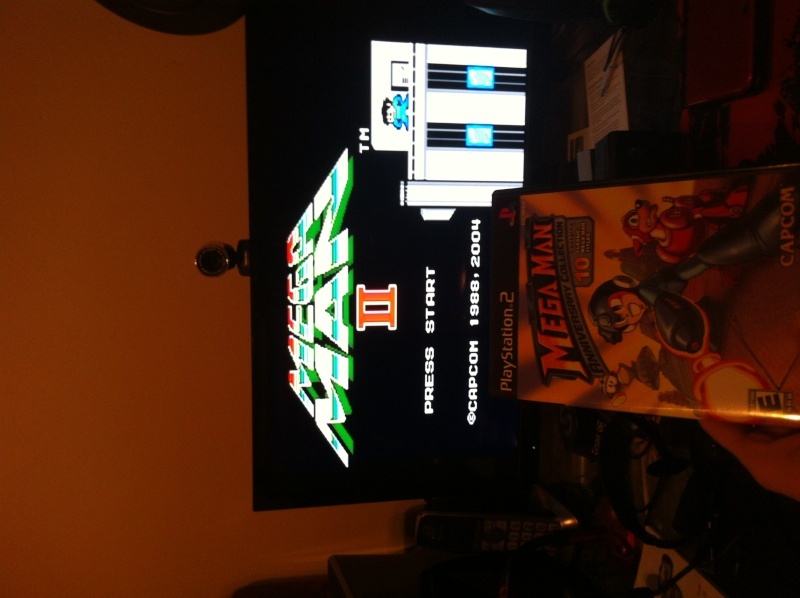 It has a fantastic storyline, LOVE the point and click style of it. I won't spoil it, but I do like what I have played so far. It has serious potential to be in my top favorite games of all time. How was Dragon's Crown, Mustang? I did a little Fable 2 today. That's about the only game I've been playing lately. Working on some chieves. Played some Fable 2 and Guitar Hero 3 today. Been itching to slide my fingers across the rainbow of buttons on those controllers. Beat a few of my high scores. Wasn't questing much for chieves. Mustang, maybe when I move back to Missouri we can play GH together, eh? Yeah I remember playing MechWarrior, I still have 3 for PC actually. Played a lot of Fable 2 today and some QAA. Questing for chieves when I have some spare time. Gonna have to start packing all my games up tomorrow. Captain, I'm glad you posted this. My brothers and I played MechWarrior when we were kids for PC. My oldest brother Stephen was the best at it. I could never quite get the hang of it. Playing Mech Assualt with you though was very fun though. I didn't know you could play it online. Sounds like a lot of fun. Mustang, you remember playing MechWarrior? I've been playing a lot of WoT. Then it made me feel bad and wanted to play MechAssault so bad... So I decided to download MechWarrior Online. Man oh man, MechWarrior Online is so much fun! World of Tank is fun too but it is so stressful sometimes. Yes. Another Fallout 4 video inbound. 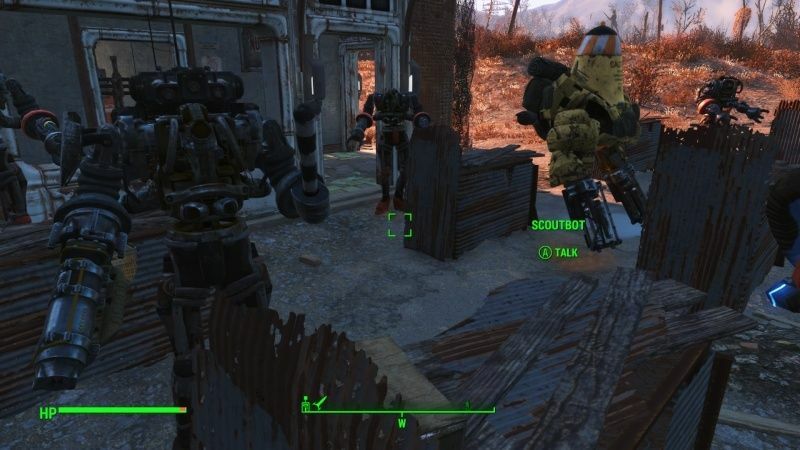 I'm now playing Fallout 4, trying to get a higher level so I can build awesome robots. Video below shows me making defense posts so that the robot can defend the area. It is really weird. Then the picture below shows the Production robots that are giving me resources while making them again and again. Was grinding some chieves for QAA today. Also played some Metroid Prime Multiplayer with Captain. 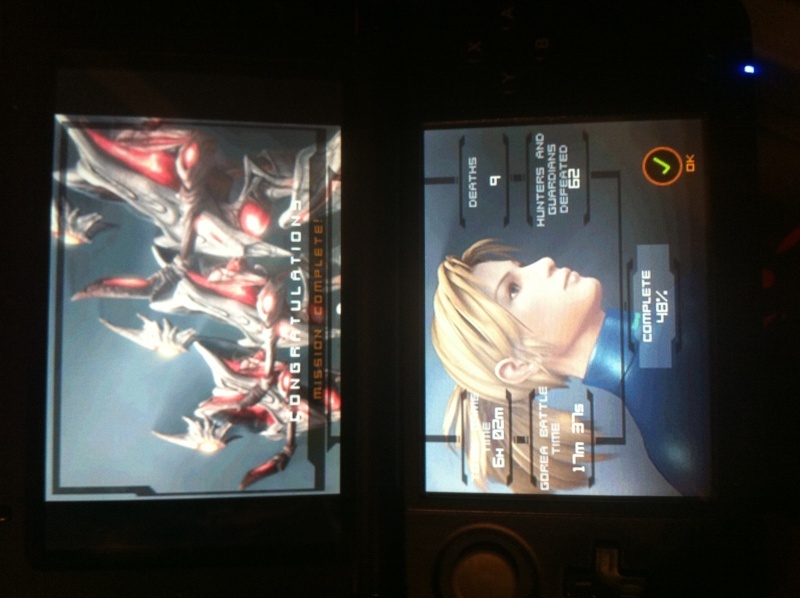 Didn't know a 3DS could be so much fun. Talk about having an unmessy LAN party. Yesterday I played Wii Fit and Bejeweled for 360. Been trying I keep up with my fitness foals and did some casual gaming in between. 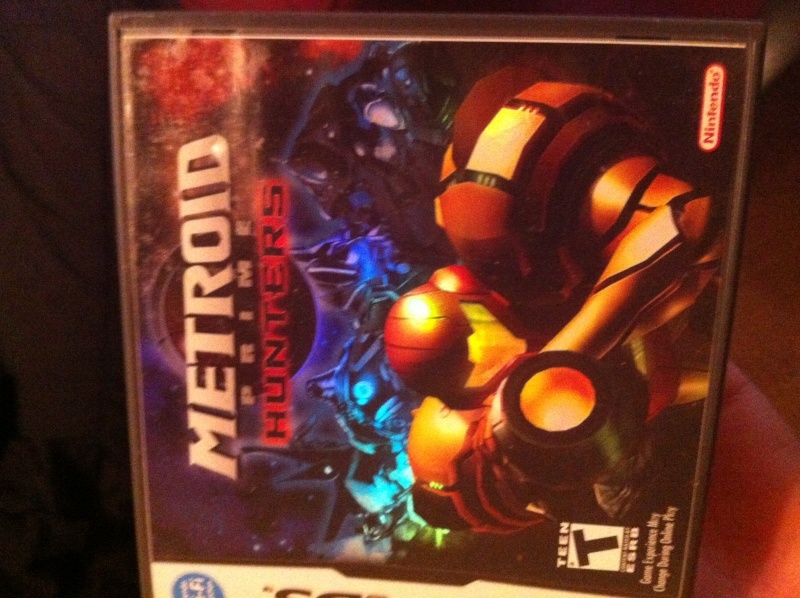 Beat Metroid Prime: Hunters... I didn't even bother scanning for the 'info' stuff. I just want to get it over with haha. The picture below is the ending and the other one is showing all the maps that I unlocked. Click on spoiler below. 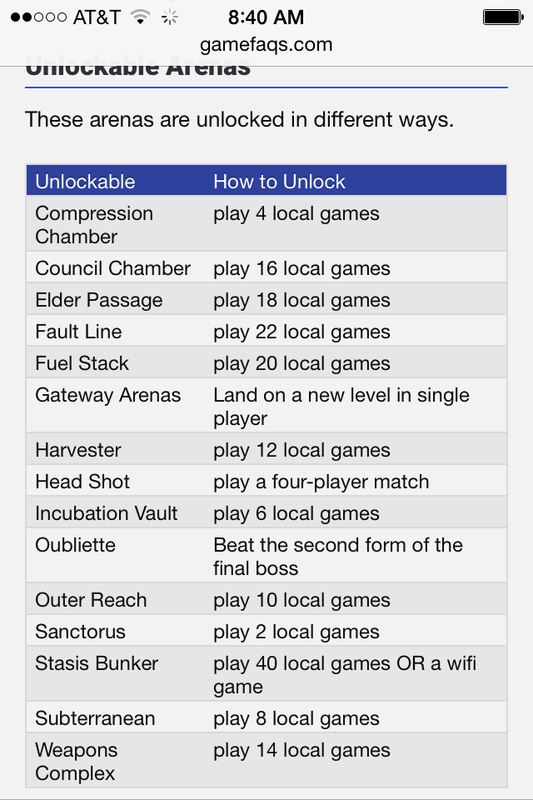 Thought about using this as a daily update for what games we play. 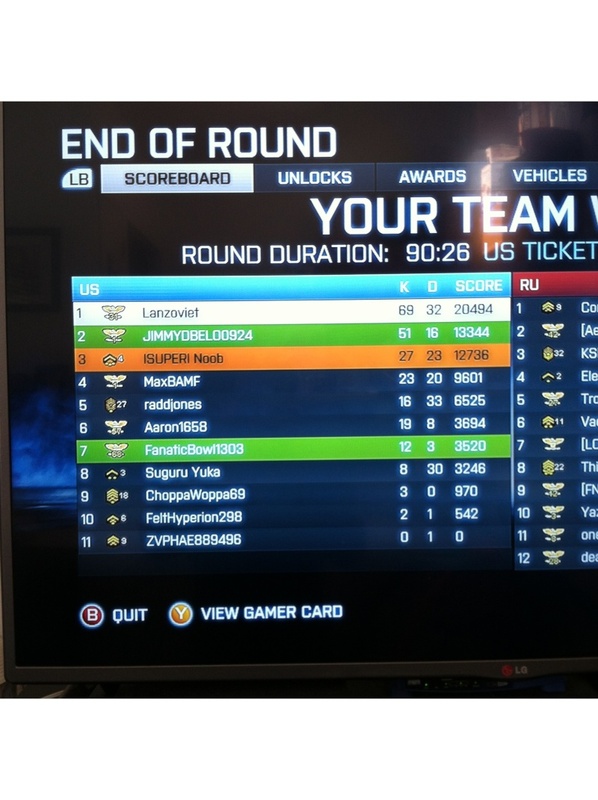 Played an hour and a half game of Conquest on BF3. The tickets started at 999 for both teams. It was an awesome game!